Which Ice-Melt is Best for Your Concrete? Every year when winter rolls around the avid skiers are jumping for joy and the average joe is grumbling about snow and ice removal. To the average joe—we don’t blame you one bit! Getting that old shovel out usually means sore shoulders and an aching back. It is not uncommon to rely on ice melting granules to help bust through thick ice buildup. However, with so many chemical compounds available, you might be scratching your head as to which ice melt is best for your concrete. 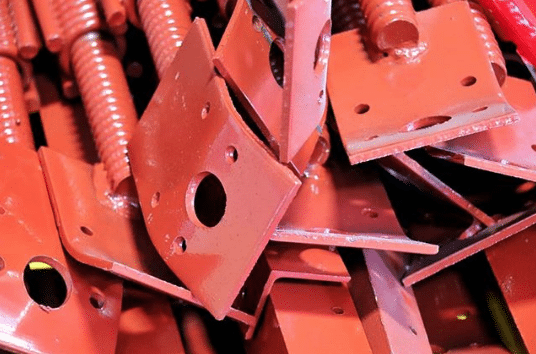 Calcium chloride, magnesium chloride, potassium chloride and calcium magnesium acetate (CMA)—what’s the difference and why does it matter? Stay tuned and we’ll melt it down for you! As with any concrete care, it is always best to plan ahead. Performing a detailed inspection of your concrete areas is advisable before you need to put down ice melting products during the frosty winter months. Locating and repairing any broken or crumbling areas is strongly encouraged due to the physical and chemical composition of commercial ice melting agents. The de-icing granules are hard and coarse—this can cause more damage to vulnerable areas of concrete when ground-in by foot traffic and vehicles. 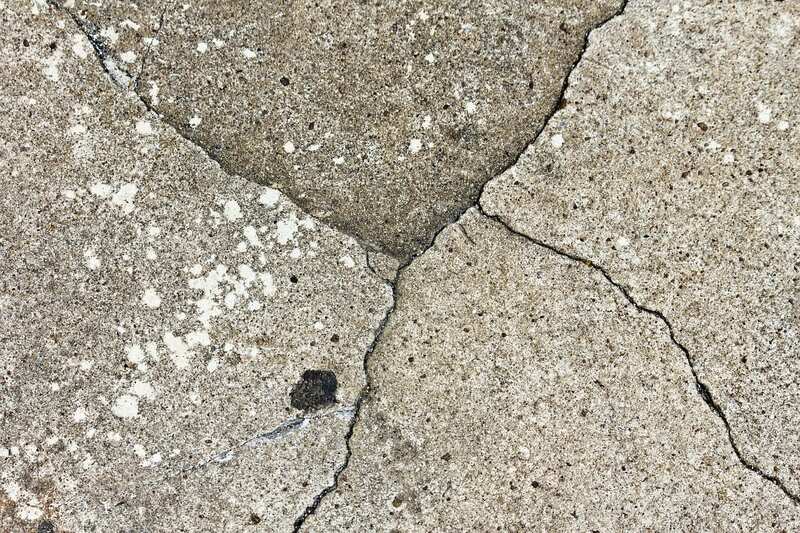 For more on fixing crumbling concrete see our latest blog. A small fix before winter is always preferable to a larger one after the fact. You’ll thank us later. There are a wide variety of ice-melting compounds on the market today, and they all have their place within the parameters of their intended use. One key element to consider is how low the temperature will drop. The availability of moisture on the top layer of ice is an imperative factor that determines the effectiveness of the product. The colder it is, the less moisture is available. “Hygroscopic” ice melting agents work by attracting moisture and absorbing it into the granules. This process is known as “exothermic” and it creates heat when the salt and moisture bond together—thus melting the ice. Take a look below at the most common de-icers on the market. Calcium Chloride: This is widely considered a very effective agent or product to melt ice. It has the lowest temperature ranking (-25° F) which makes it preferable to use in severely cold conditions. This hygroscopic agent uses an exothermic process to create heat and liquify solid ice. One word of caution: calcium chloride can be corrosive to non-protected metals and greenery such as plants and lawns. Being mindful of the application precautions for this product is recommended. Magnesium Chloride: This agent also works well to melt ice, and its hygroscopic process is very similar to calcium chloride. However, due to its makeup of over 53% water, it is more dilute than other options. This means that more is needed to produce the same results as calcium chloride. Its lowest effective temperature rating is 0° F. While magnesium chloride is generally available in the United States, peak seasons demand import from various European and middle-eastern countries. This can cause prices to rise during the winter months. It has similar corrosive risks to calcium chloride and potassium chloride. Potassium Chloride: Due to its much higher temperature rating (+25° F), this product is not considered an optimal choice for ice melting. It also melts slower, yielding less melt volume overall. Like the other chlorides, it does pose moderate corrosion risks to metals and may have a negative effect on plants, trees and grass. Calcium Magnesium Acetate (CMA): Much like the potassium chloride, this agent has a higher temperature rating (+20° F) and a lower ice penetration measurement. This makes it a less than optimal choice when it comes to melting ice. However, it does have a higher environmental rating due to its organic content, but its toxicity levels can still pose a risk to aquatic life by elevating the demand for biological oxygen. Calcium chloride and magnesium chloride appear to be the superior products when it comes to quickly melting ice. While there is potential corrosion risk with all chloride compounds, adhering to the application instructions and precautions will provide the best results for your concrete and surrounding areas. A high-grade and well-maintained concrete should withstand any corrosive properties produced by these agents. As mentioned above, removing any leftover granules once the ice has melted is a best practice tip to maintaining your concrete throughout the winter season. Crumbling concrete can be such a frustration—especially when it is your own driveway! Not only is it unsightly but it also jeopardizes the longevity of the remaining concrete area. Many people will offer their advice on some quick, cheap fixes but when it comes to cement work it is important to be cautious and plan ahead. Having the proper tools and products will make or break your project experience and outcome. An effective method to clean the crumbling area ahead of time is essential, so be sure to plan for that in advance. A nice power sprayer is a good recommendation, but not a deal-breaker. Adequate preparation to the area is the essential first step when you begin any type of concrete repair. The products you use will only be as good as the conditions beneath them. Removing any crumbling debris is key, and while there is more than one way to do this, using a power sprayer can be a great help. Another important step is to eliminate anything that may hinder the adherence process of the mortar, such as grease, paint or oil that has previously been in contact with the area. If you are using water to clean the area it is important to allow plenty of drying time before you apply the primer or bonding agent. If moisture is present, the primer cannot properly adhere to the surface. Be certain to follow the instructions for each chosen product, as they may vary slightly depending on brand. To apply the primer or bonding agent, make sure to keep it well stirred. Preference in application techniques can range from brushes and brooms to rollers. The key factor is making sure you effectively work the product into the surface. Allow for the recommended drying time as provided in the product instructions; 2-3 hours is usually adequate but not all products are exactly the same so be diligent in reading and understanding the directions. It is worth noting that some products, such as Lyons P100 Primer, change opacity as the drying process is under way. Application often appears milky, but the end result will be a more clear-like coating. Applying the repair mortar comes next and the goal is for a nice, smooth finish. It really is as simple as reading the product’s directions for correct water/mortar mixture ratio and using the recommended tools. 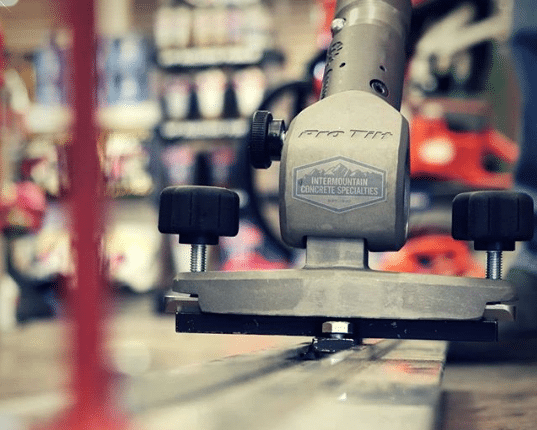 Refer to our past blog 14 Concrete Tools and Products You Didn’t Know You Needed to learn which tools will work best for your individual repair project. Fixing a crumbling driveway is actually pretty simple with great products and a solid understanding of the process. Taking special care to prepare the area and using appropriate tools is the best advice anyone can offer for this type of cement work. In the end it really pays off to make these repairs in a timely manner after crumbling has started. Diligence in maintaining or replacing worn areas in concrete is crucial for overall strength and longevity of the overall cemented area. As an experienced concrete contractor or home renovator, you probably know what tools you need to get the job done. But having the right tools and the best products is essential to getting the job done not just right but in the best way possible. Here are some of our favorite concrete products that you didn’t know you needed. Safety first. 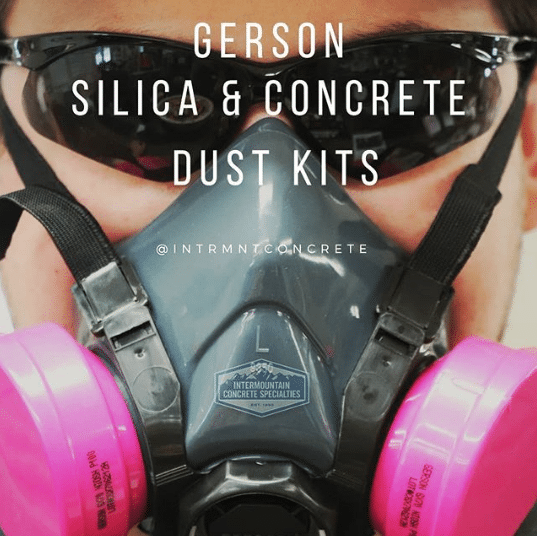 Next time you are cutting or grinding, make sure to put on one of these Gerson silica and concrete masks. Reduces exposure to respirable crystalline silica dusts and provides at least 99.97 percent filtration efficiency against solid and liquid aerosols. MBW’s ScreeDemon™solves four problems that other wet screeds have. It’s lower maintenance, highly functional, lower vibrating and easy to assemble. Patent-pending mount retention reduces hand/arm vibration 50 to 90 percent. It’s everything you want in a wet power screed. When it comes to adaptors for your tools, there’s nothing better than the Pro Tilt™ from MagVibe. 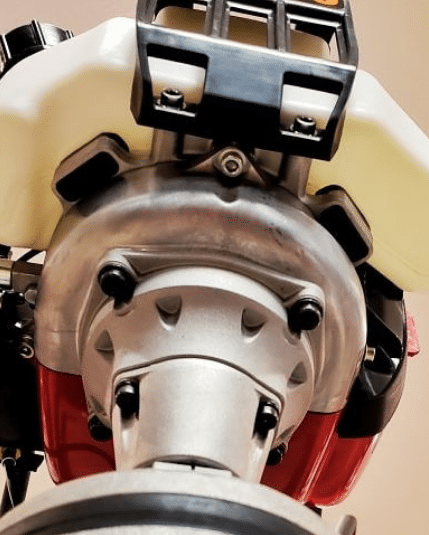 Designed to be easily attached to all of your floats, the Pro Tilt features a gear-driven pivot, sealed bearings and Superior Innovation’s QAS™ quick attach system. Stop by your local ICS concrete specialty store in Utah or Idaho to see the difference for yourself. 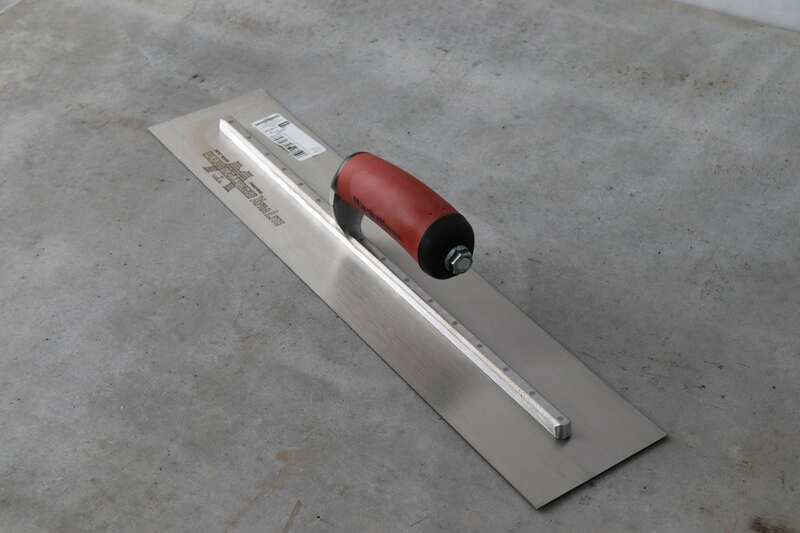 Another awesome product from MBW, the 36-inch power trowel can edge right up against the wall. You heard that right. The built-in edger feature allows you to do what typically requires two machines to accomplish. 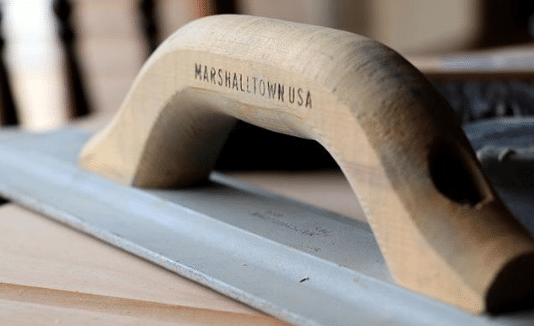 The Marshalltown magnesium Mag Float is a must-have for contract contractors. High-strength, lightweight magnesium construction delivers faster, smoother floating. Make sure you have one of these in your bucket. Keep walls straight and plumb. Turnbuckle form aligners are an essential part of wall forming. Reusable concrete stencils take decorative concrete to a whole new level. Designed to be floated into freshly placed concrete, the stencils can pulled up once concrete has hardened, leaving a crisp impression behind. 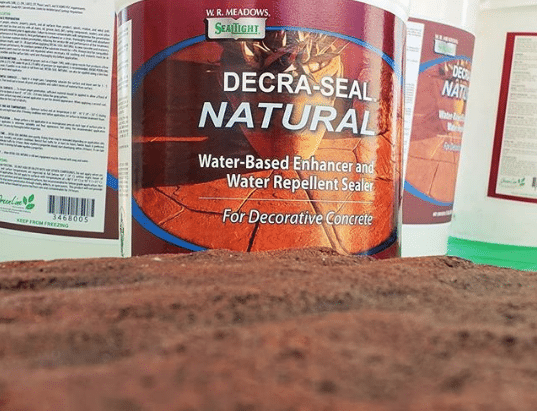 Decra-Seal Natural is low-VOC, water-based sealer that enhances the natural color and features of decorative concrete. The penetrating water repellent formula chemically bonds to the substrate for a durable, reliable finish. There’s nothing worse than wet concrete when it shouldn’t be. Hydrophilic waterstop is a high-quality, cost-effective solution to ensure water doesn’t get in where you don’t want it. Quit falling and stay on your feet. 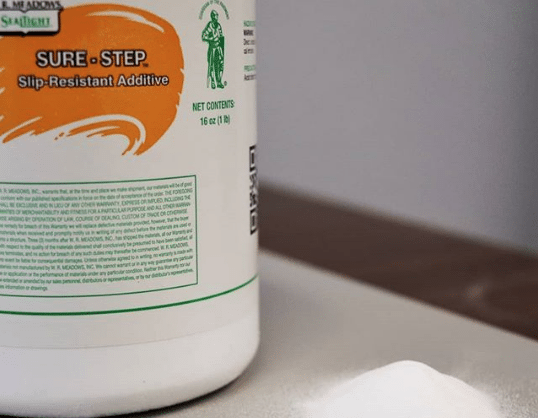 Next time you need to seal concrete to high-traffic areas, add Sure Step non-slip additive. 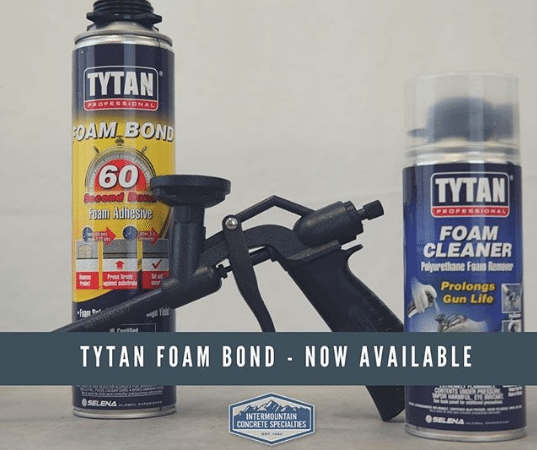 TYTAN Foam Bond 60’s innovative formula bonds architectural foam shapes, boards, trim and panels in just 60 seconds, becoming fully secure after five minutes. No solvents means no offensive odor. Bonding foam to concrete has never been easier. 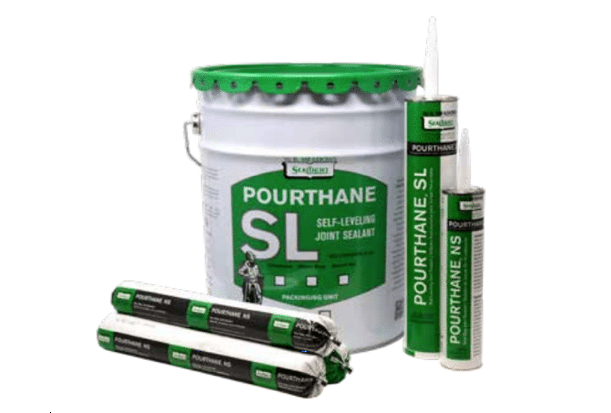 W.R. Meadows Pourthane Non-Sag and Self-leveling Joint Sealant comes in 11 different colors and in convenient pouches. Ready-to-use without mixing, there’s no easier way to fill cracks and joints with a colored caulk. 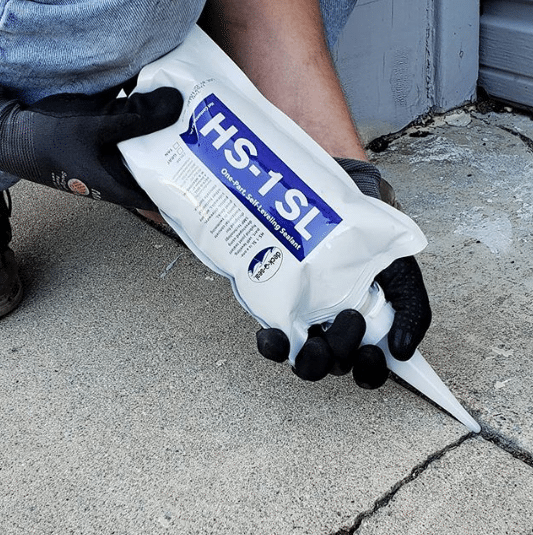 Also from W.R. Meadows: HS-1 SL one-part, self-leveling, SMP-based sealant. Yes, this is colored self-leveling joint sealant in a bag. Last but not least: power trowels. Designed for continuous use on large floors, these amazing machines offer precision handling for professional concrete finishers to apply an ultra-smooth finish to concrete slabs. Stop in and tell us your favorite brand – and we’ll tell you ours. When quality and service count, contact one of Intermountain Concrete Specialties’ knowledgeable product and tool specialists. For a building material that’s been around seemingly forever, concrete is constantly being improved, repurposed and reimagined. We dug up these emerging trends for contractors, interior designers, DIY homeowners and anyone looking to improve their space with an interior or exterior concrete update. This concrete trend has been around for a while, but new developments in coloring and texturing agents keep decorative concrete constantly evolving. While concrete’s traditional gray hues suit current interior design trends like the farmhouse look, homeowners have endless possibilities when it comes to color, pattern and texture. Decorative concrete also enhances outdoor spaces, such as patios, walkways and decorative curbing made with reusable stencils. Typically associated with outdoor utilitarian uses like patios, driveways and foundations, concrete has made its way indoors thanks in part to the popular industrial design trend. From concrete flooring to countertops and furniture to accessories, interior concrete can be customized to suit any décor style. Tilt-up construction is soaring to new heights with a recent record lift of 100 feet. Thanks to new developments, products and processes, the tilt-up industry is shaking up conventional labor and production on these large-scale building projects. 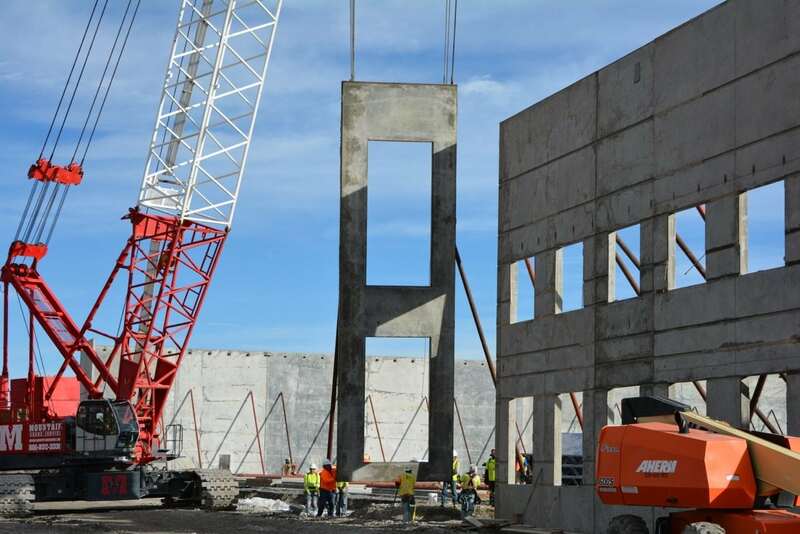 The latest trend in concrete formwork, load-bearing walls utilize an innovative tunnel-form method that allows walls and slabs to be poured simultaneously. This means faster setting and removal of wall forms to allow for acceleration of construction projects. 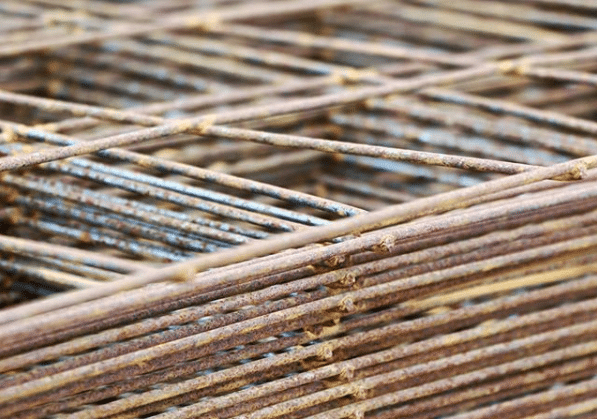 Performed on the job site, post-tensioning reinforces concrete with extremely high-strength steel strands and bars. 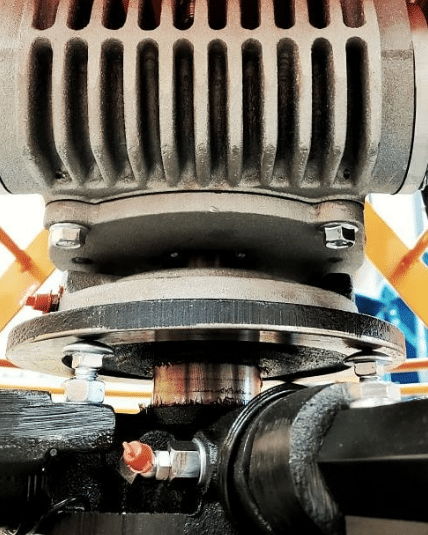 Post-tensioning with a combination of concrete and steel creates an incredibly strong component that allows for a final product that is stronger than ever. Emerging trends in concrete are changing not only what we can build, but also how we build it. Here are two new concrete trends from cement.org. This highly workable, durable, ultra-high strength concrete eliminates the need for coarse aggregates. With a potential compressive strength of 30,000 psi, reactive powder concrete’s tensile strength is on par with steel fibers. Adding optical fibers to a concrete mix creates a “see-through” effect that challenges the opaque nature of traditional concrete. Thanks to the optical fibers, light is conducted through the stone from one end to the other. New advancements in concrete and concrete products are completely changing design and construction. Stop by your local ICS showroom in Utah or Idaho and let us help you decide how to make the latest concrete trends work for you. Concrete sealers provide more than just protection from the elements. They can also improve the appearance of your concrete. Knowing which product to choose for your particular project is essential for getting the finish you want and concrete that will last. Choosing a concrete sealer isn’t a one-size-fits all solution. There are a wide variety of sealers to choose from. Some work well on exterior applications, while others are designed for indoor use. Sealers may be chemical-based or water-based. The final appearance, such as a natural or high-gloss finish, should be factored in. The type of concrete project also dictates whether a surface sealer or a penetrating sealer is the best option. High-traffic commercial areas, for example, will require a different finish than a decorative patio or a concrete countertop. Indoor concrete flooring will have different requirements for durability and appearance than an industrial floor or a stamped concrete walkway. Surface sealers can form a protective layer on the concrete surface or block the pores to prevent water absorption. 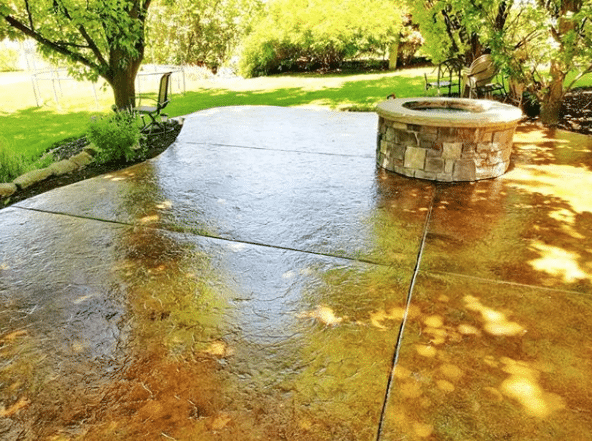 Penetrating sealers, on the other hand, absorb into the concrete and are a great option for exterior surfaces that can be affected by the elements. Two of the most commonly requested sealers in Utah are W.R. Meadows for commercial and industrial application and ICS High Gloss Sealer for decorative concrete applications. Once your concrete is prepped and dry, you’re ready to get started. Follow manufacturer’s instructions closely. Depending on the type of sealer, you may be applying it with a roller or pump sprayer. If required, apply a second coat. Applying concrete sealer varies by type. A solvent-based sealer might be sprayed on an indoor microtopping or decorative concrete floor and requires good ventilation. 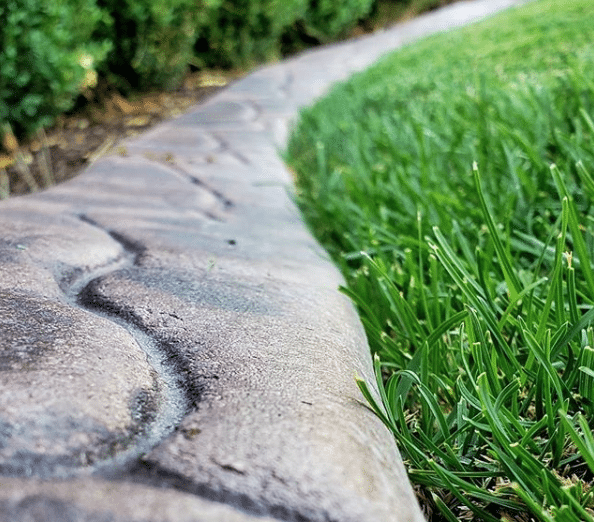 Outdoor sealers may be rolled on and should be UV-stable and durable enough to stand the test of time. Applying a concrete sealer to old or new concrete is always a good idea. When you create beautiful concrete, the last thing you want is the product to start degrading over time. Even light to moderate traffic areas should be resealed every three to five years. Frequent cleaning keeps outdoor concrete surfaces looking their best. Practicing basic maintenance, such as cleaning concrete surfaces immediately of spills and debris, can help minimize damage. Do your homework and choose the appropriate sealer for that specific application. This will help keep your concrete in the best condition possible, so you can enjoy it for years to come. Visit your local Intermountain Concrete Specialties location in Utah or Idaho so we can help you choose the best concrete sealer for your specific needs. Utah may be known and loved for its Greatest Snow on Earth – but outdoor workers might feel a little differently. When you work concrete or construction jobs outdoors in winter, it’s important to dress in the best possible cold weather gear. Hypothermia and frostbite are real threats to outdoor workers who aren’t dressed appropriately for Utah’s winters. Hypothermia occurs when the body’s core temperature drops below what’s required for normal metabolism. Small extremities such as fingers and toes are especially susceptible to frostbite. If you’re wondering what to wear for outdoor work in winter, we’ve rounded up some great cold weather gear for outdoor workers to help prevent cold injuries. Layering is key to dressing appropriately for working outdoors in winter. Wearing several layers of clothing can help you stay warm – and having the ability to remove some layers can also prevent sweating, which can actually cool you down too much. • Start with a wicking layer worn close to the skin. This can help transfer moisture from the skin and prevent you from cooling down too much. • Next, add a light insulating layer, such as a sweatshirt or light fleece. Fleece is warm, quick-drying and versatile for temperature variances. • For the final layer, a mid- to heavy-weight insulating layer can help trap body heat to keep you warm. • PIP 1-Layer Fleece Liner with Shell (364-SL1FB), a warm, fleece hardhat liner ideal for use in cold weather. The liner wraps around the front and offers shoulder-length coverage that can be tucked into a jacket and features a silver reflective strip for added safety. • PIP Winter Liner (365-1620) This cotton twill/acrylic liner features a flame-retardant treatment on the outer shell, which can last up to 10 washes. The winter hardhat liner has a zip-off extended neck cover for extra warmth and protection. For outdoor workers, thermal protection must extend all the way to the fingertips. Wearing insulated work gloves made for protection in cold weather is important. Another option is wearing glove liners inside your work gloves to keep bare skin protected when you need to remove gloves momentarily. A variety of thermal and insulated work gloves offer added protection and safety. A double-layer sock system is recommended for outdoor work. Thin, moisture-wicking socks serve the same purpose as long johns – to move moisture away from the skin and keep feet warmer. A thicker sock, such as wool, should be layered, and boots should offer enough room to be able to wear both pairs with wiggle room. It’s always important to be seen when working outdoors, but it’s even more important in winter when weather conditions can cause poor visibility. In the cold, sometimes a safety vest just doesn’t cut it. Bundle up and stay within ANSI regulations with class 2 and 3 garments from PIP. Available in high visibility yellow or orange. • PIP Class 3 Lime Green Zip-Front Hooded Sweatshirt (323-1370B) made from fleece with a water-repellent shell and silver reflective tape. Black bottom and cuffs help hide dirt. 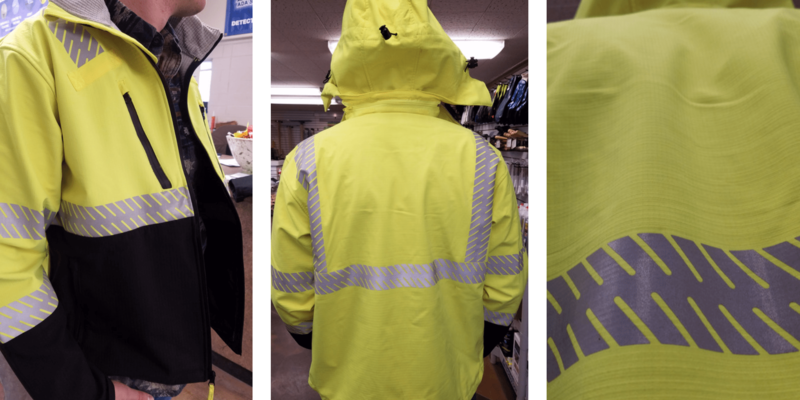 • PIP Class 3 Hi-Visibility Ripstop Jacket (333-1550) offers breathable, water-resistant, windproof protection from the elements. • PIP Class 3 Hi-Visibility Bomber Jacket (333-1740) offers quilted insulation and a water-resistant shell. From hooded sweatshirts and high-visibility jackets to overalls, to gloves and headgear, we can help dress your concrete construction crew in the best cold weather gear for outdoor workers so they can get the job done safely. We carry a full line of PIP safety gear plus other industry favorites. Stop by and check out our cold weather gear selection and stay warm and safe while working outdoors this winter. Hot summer days aren’t all fun and games. For outdoor workers who are exposed to extreme conditions, summer’s heat presents significant hazards such as sunburn, dehydration and heat stroke. 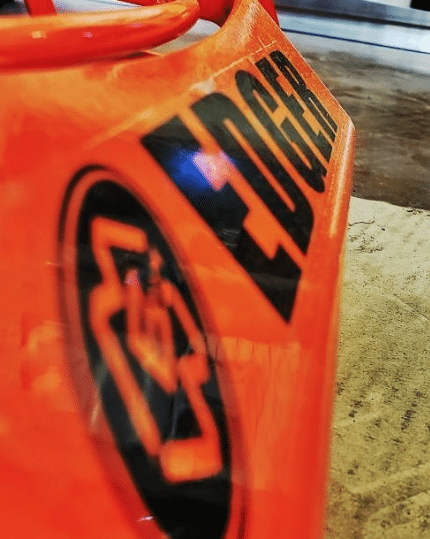 The combination of heat and dehydration can pose a particularly serious health threat during summer for Utah concrete and construction workers. Knowing how to work safely outdoors in hot weather is critical when it comes to preventing heat illness. Heat illness can occur in various degrees, most notably heat cramps, heat exhaustion and heat stroke. Heat cramps are muscle pains caused by loss of fluids and electrolytes during sweating. Outdoor workers who experience heat cramps should rest and replace lost fluid by drinking water and/or sports drinks. Heat exhaustion is a serious heat-related illness that causes dizziness, nausea, extreme thirst, weakness, confusion and elevated body temperature. Outdoor workers with heat exhaustion should be moved to a cooler location, given water to drink, and apply cold compresses to the head, face and neck. If symptoms persist, medical services are necessary. Heat stroke is a medical emergency that can be fatal and requires immediate medical attention. • Stay hydrated – drink small amounts of water frequently, even if you don’t feel thirsty. The average person has 2.6 million sweat glands that activate when the body needs to cool down. While sweating is good for the body, it can also lead to dehydration. The general rule of thumb is 8 ounces of water every 15 to 20 minutes. Prevention is key when it comes to minimizing risk of dehydration! • Dress for the weather – Loose-fitting, light-colored, breathable clothing (such as cotton) are good choices for outdoor workers in hot weather. Avoid dark colors that absorb the sun’s rays. A wide-brim hat can help shade the head, face and neck. Be aware that protective gear such as respirators or coveralls can increase heat stress on the body. • Adjust work schedules – Establish and enforce work/rest schedules to control heat exposure and allow workers to recover. Take into account the level of physical exertion and type of protective equipment being used, and schedule heavy tasks earlier in the day when it’s cooler. • Take short, frequent breaks in a shady or air conditioned location; OSHA advises employers to provide workers with water and regular rest periods in a cool recovery area. • Protect yourself against the sun. Long-term exposure to the sun not only causes skin damage but increases the risk of skin cancer. For outdoor workers, sunscreen with a minimum SPF of 30 and both UVA and UVB protection is recommended. Even on a cloudy day, 30 to 50 percent of the sun’s rays reach the skin, so sunscreen should be liberally applied every two hours, or more if perspiring. • Use a buddy system when working in excessive heat; learn to recognize signs of heat illness, and act immediately if you recognize signs in yourself or a co-worker. Utah heat can be especially harmful for those who work outdoors in direct sunlight and high temperatures. Concrete workers and employers should take steps to avoid potential heat hazards and stay safe when working outdoors in hot weather. Taking the above precautions can help outdoor workers beat the heat and work safely outdoors. Get out of the midday heat – visit your local Intermountain Concrete Specialties store. Confused about new and changing VOC laws? Learn which VOC compliant concrete sealer products you can use as stricter VOC laws are put into practice. Volatile Organic Compounds (VOC) are carbon-based compounds that release into the air from certain solvents, plastics and rubber. When these compounds react with the atmosphere, they can have an adverse affect on the ozone and the environment. Why do we need VOC regulations? The goal of improved VOC laws is to protect the ozone and improve air quality. Architectural coatings, including concrete sealers, are addressed under Section 183(e) of the 1999 Clean Air Act. The rule limits the amount of VOCs that manufacturers can put into their products, and includes labeling requirements. Most concrete sealers, coatings, cures and waterproofing fall within these regulations. What are the VOC guidelines? New federal VOC laws took effect in 2015, requiring manufacturers to change their solvents to a quicker flashing solvent at a lower VOC. Local laws vary from state to state. In Utah, concrete suppliers have three years to deplete any remaining stock manufactured through 2014. That means, current supply can be sold through 2017. It’s not all black and white. Concrete Network reports that there are 61 subcategories of concrete sealers and coating, each with its own VOC limit that varies according to state or even county. The bottom line? State regulations trump federal regulations when it comes to VOC limits. Where can I find out VOC limits? VOC content specs are listed on all Manufacturer Safety Data Sheets (MSDS) for individual products. For example, our best-selling CS-309-25 Non-Yellowing Acrylic Curing and Sealing Compound from W.R. Meadows currently complies with U.S. EPA maximum allowable VOC requirements. 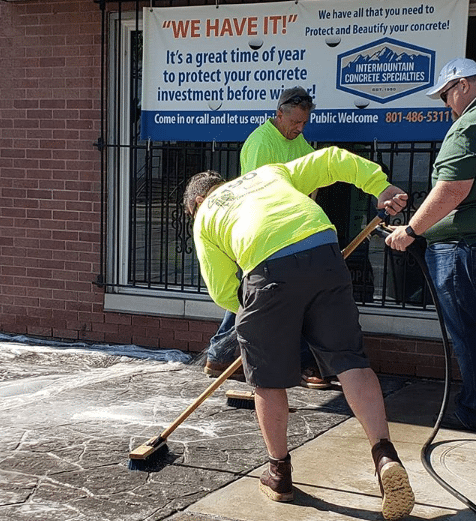 For more information on VOC compliant concrete sealers, talk to the experts at your local Intermountain Concrete Specialties. Mixing, curing, and sealing concrete properly is especially important when it comes to winter concrete projects. Concrete may be safely placed in cold weather, as long as necessary precautions and best practices are used. Here are some of Intermountain Concrete Specialties’ top product recommendations to help avoid surprises in your winter concrete projects. Anti-Hydro Admixture provides increased workability with lower water requirements, enhances internal curing time, and produces high strength concrete early in the curing process. This helps prevent damage due to frost and other cold weather hindrances. When added into concrete, Anti-Hydro Admixture produces dense, durable, water and damp-proofed concrete, while improving workability and reducing shrinkage and cracking. Fortify your concrete with Anti-Hydro® Admixture for cold weather. Learn more! 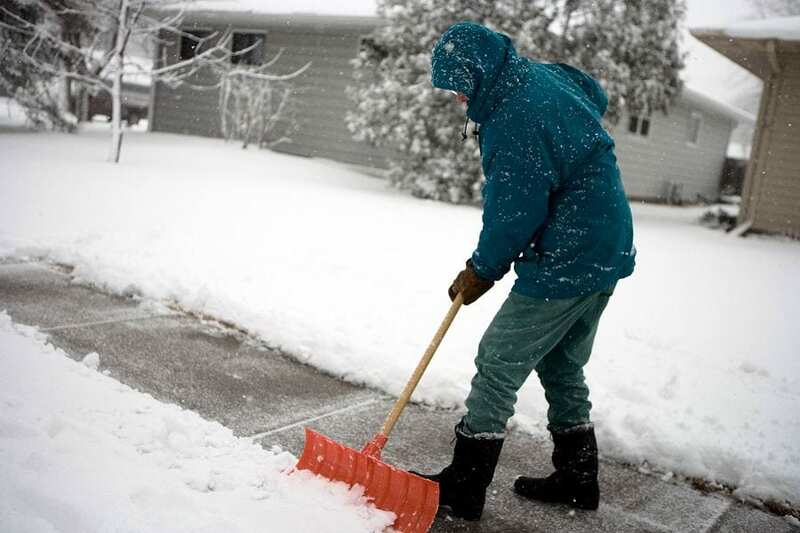 Even mildly cold temperatures can affect concrete curing time. Concrete blankets provide warmth when Mother Nature can’t. Temperature is actually the number two cause of concrete sealing problems, second only to moisture, so cold weather protection is critical to winter concrete projects. Concrete blankets offer the R-factor necessary to prevent winter concrete projects from freezing, which can strengthen finished concrete. Click to learn more about protecting exposed concrete with concrete curing blankets. If you’re moving indoors to work on winter concrete projects, here’s another ICS favorite from W.R. Meadows. FLOOR-TOP STG is a single-component, self-leveling floor topping and underlayment designed to smooth out uneven or rough interior concrete floors. FLOOR-TOP STG cures to a hard surface suitable for standard foot traffic and light rubber-wheeled traffic, and can be enhanced with integral colors, dyes, stains, and sealers. We’ve said it before and we’ll say it again, W.R. Meadows CS309-25 is one of our all-time favorite exterior concrete sealers. This industrial-quality workhorse sealer is specially formulated with acrylic polymers that cure and seal freshly placed concrete for a durable, long-lasting finish. Visit your local Intermountain Concrete Specialties location in Utah or Idaho for the best tips and product recommendations for your winter concrete projects! Concrete can be backbreaking work. It’s heavy, messy and requires a lot of stamina. But we love it (and we know you do, too) so we’ve rounded up some of our favorite solutions to everyday concrete issues with our concrete products roundup—and to help you lighten your load. First in our concrete product roundup, capable of hauling up to 750 pounds per load, Overland Electric Wheelbarrows are powerful yet simple to use. Simply load up an Overland Electric Wheelbarrow, push the throttle, and go! Multiple wheels keep larger loads steady, and power assist helps you get up inclines and rough terrain without a problem. Features include a heavy-duty steel frame and an enclosed gearbox to resist water and mud. Capable of traveling up to 2.4 mph, Overland’s Electric Wheelbarrows emit no fumes and virtually no noise. All electric power means zero emissions, zero fumes—and full power all the time. Having water issues due to porous concrete? Go below the surface and block water from the inside with Creto Deep Penetrating Sealer. Creto DPS offers crystalline waterproofing for new or existing concrete slabs, going deep to form a gel under the surface of the concrete creating a barrier to stop water. How does it work? 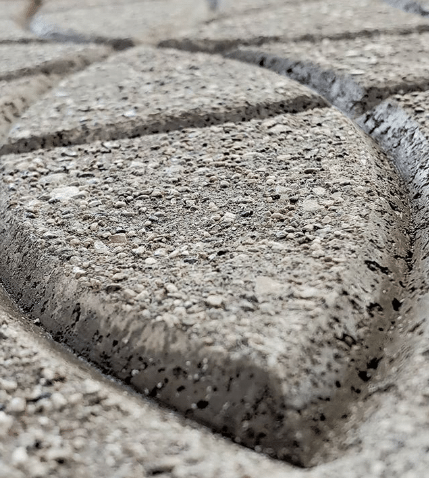 Creto DPS reacts with the free line and alkali-forming insoluble calcium silicate crystals to block moisture from migrating to the surface—while still allowing concrete to breathe. Creto DPS is ideal for concrete sidewalks, basements, retaining walls, highway bridges, garages and more. Another in our concrete product roundup, made from high-quality materials for the everyday contractor, the No. 29 Line Concrete Finishing Brush by Magnolia is designed especially for putting the final touches on concrete work. The lightweight, soft horsehair concrete finishing brush can also be used to sweep fine particles on smooth floors. Magnolia brush brooms are finishing brooms at their best. Cracked concrete? No problem! Ultrabond 365CC to the rescue. 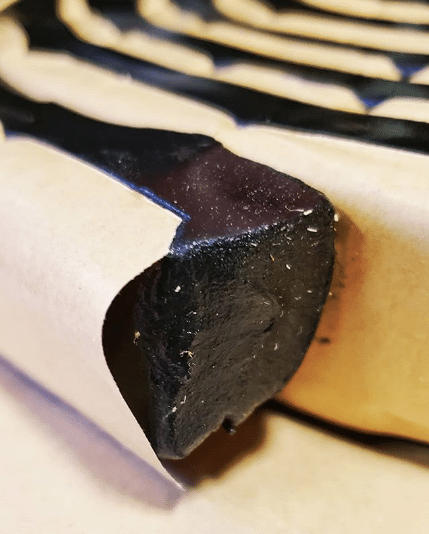 This code-compliant, hybrid-anchoring adhesive offers the highest elevated temperature creep performance on the market today. Nobody wants to come back to a job two or three days later when you can finish in the same day. Ultrabond 365CC delivers a full cure in 45 minutes! Questions? Intermountain Concrete Specialties showrooms are a great place to find out about the latest and most reliable concrete products. Stop by any one of our six locations to speak with a product expert!